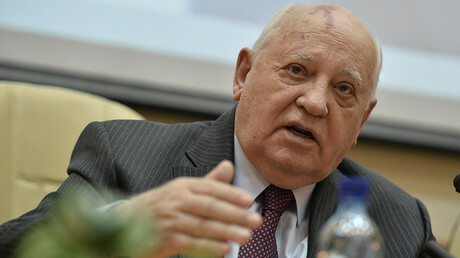 Former Soviet President Mikhail Gorbachev has expressed regret over the collapse of the Soviet Union that, according to him, was met by much exultation in Washington, which may be one of the reasons for current tensions in US-Russia relations. In recalling the US response to the Soviet Union’s dissolution in 1991, Gorbachev said that the Americans, though trying not to show it, were in fact elated at the idea of having overpowered their main geopolitical rival. “Under the table, the Americans were rubbing their hands with glee,” he said in an interview with Britain’s Sunday Times. “They thought, ‘Now we’re the boss of the world.’ They weren’t genuinely interested in helping Russia develop into a stable and strong democracy. They thought they’d cut Russia down to size. In the process, they’ve squandered the trust we’d built,” he told the British media, as quoted by Sputnik news agency. Gorbachev went on to say that Russians still feel sorry about the collapse, though few, including the last Soviet leader, would support the idea of bringing the union back. 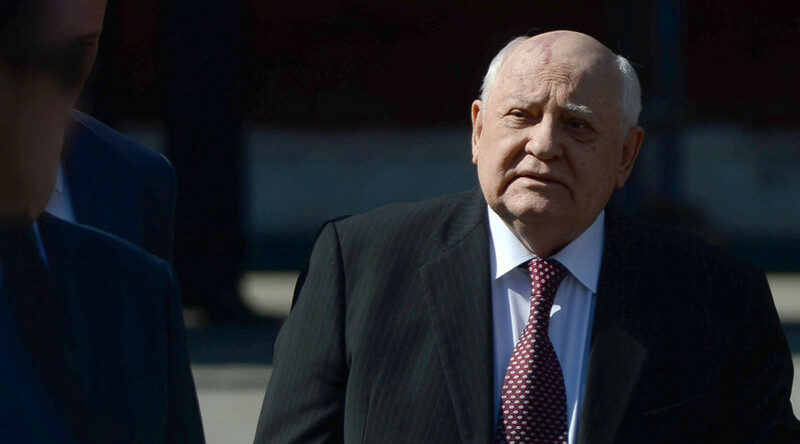 “My intention was always to reform it, never to destroy it,” Gorbachev said, according to Sputnik. Commenting on Russia’s reunification with Crimea, Gorbachev praised Putin’s move in 2014, saying that it was justified by the people’s right to self-determination, adding that if put in the same circumstances, he would have probably done the same. “I’m always with the free will of the people, and most in Crimea wanted to be reunited with Russia,” he stated. In response, Anton Geraschenko, adviser to Ukraine’s Interior Minister, said that Kiev will now close Ukraine’s borders to Gorbachev and ask the European Union to follow in its steps. “I can’t think of the last time he [Gorbachev] was here [in Ukraine]. He has nothing to do here. We will address our European partners on the diplomatic level and ask them to ban him from visiting Europe and to stop allocating money to his fund that fuels hatred between Russia and Ukraine,” Geraschenko said in an interview with Govorit Moskva radio on Sunday. Following a violent coup in Kiev, nearly 96 percent of the people in Crimea voted to secede from Ukraine and reunite with Russia in March of 2014. Crimea is now a republic within the Russian Federation.